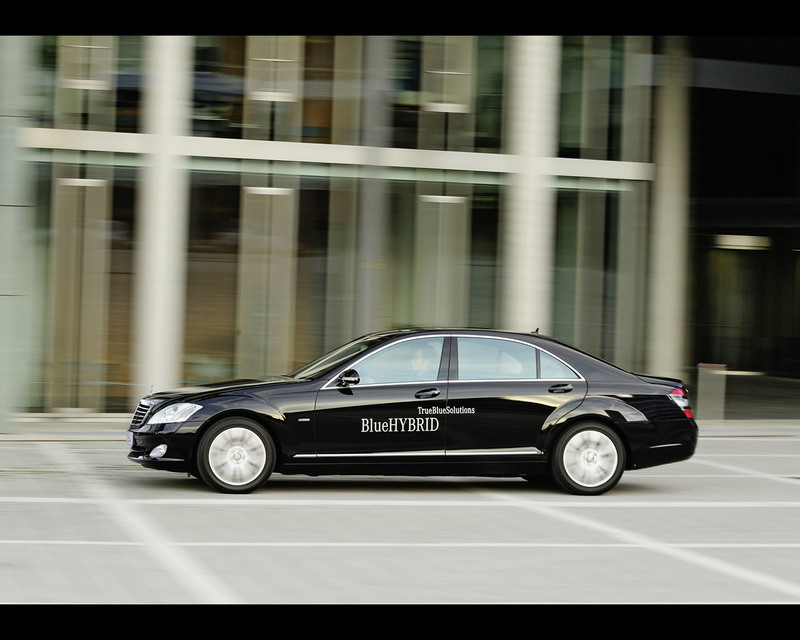 The Mercedes Benz is launching its first passenger car model equipped with a hybrid drive to go on sale in summer 2009, the Mercedes Benz 400 BlueHybrid. 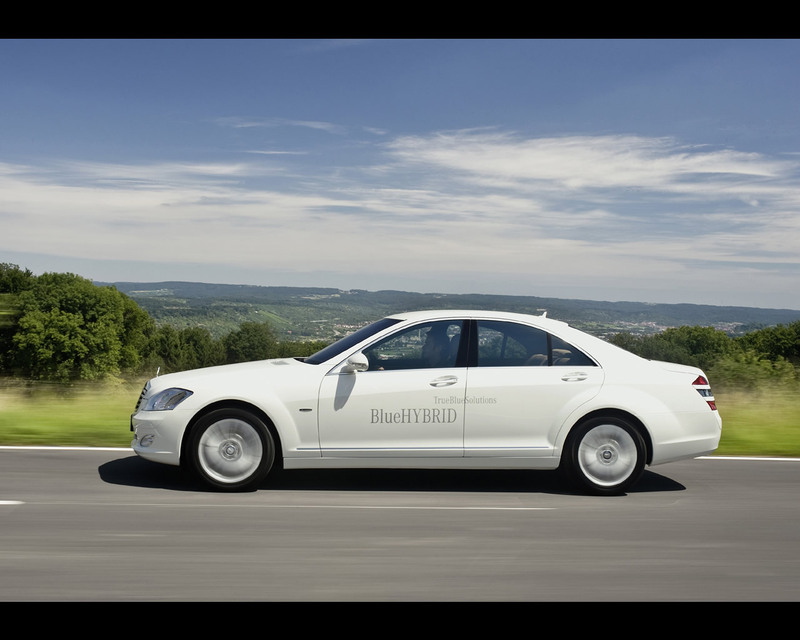 The combination of a modified V6 petrol engine and a compact hybrid module makes the S400 BlueHybrid the first most economical Mercedes Benz luxury saloon with a spark-ignition engine. The NEDC combined fuel consumption is a mere 7,9 litres per 100 kilometres. This makes for the Mercedes Benz lowest CO2 emissions in this vehicle and performance class - just 190 grams per kilometre. These exemplary figures go hand in hand with assured performance. 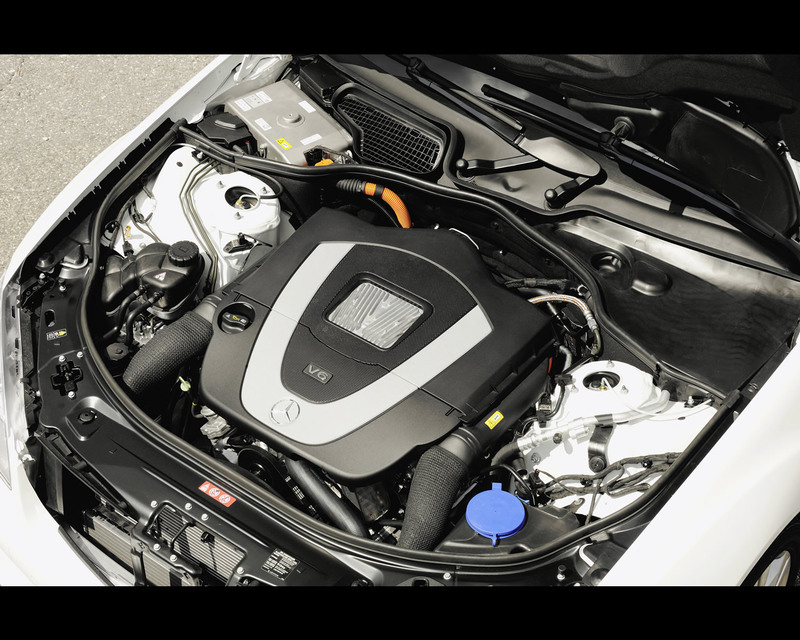 The 3,5 litre gasoline engine develops an output of 205 kW(279 hp), the electric motor generates 15 kW (20 hp) and a starting torque of 160 Nm. The result is a combined output of 220 kW (299 hp) and a combined maximum torque of 385 newton metres. 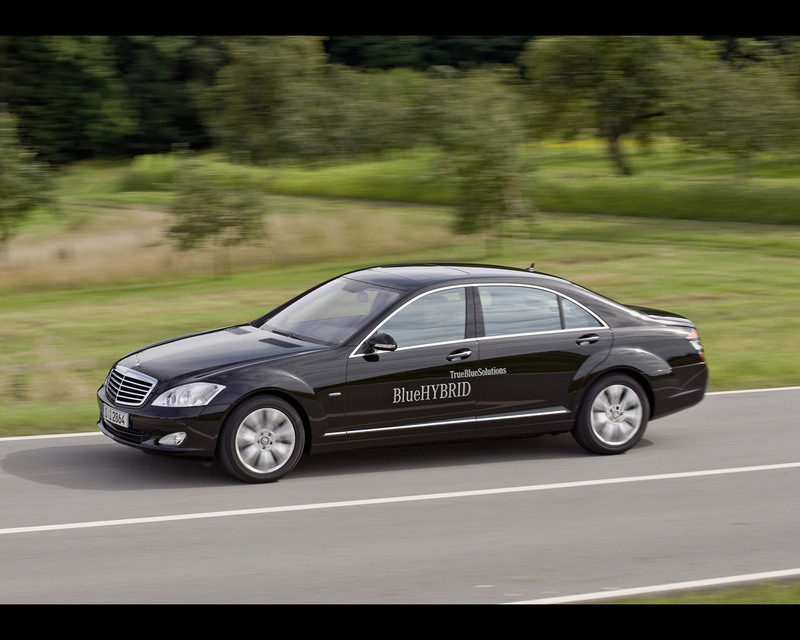 Moreover, the new Mercedes Benz s 400 BlueHybrid is the first series-production model to be equipped with a particularly efficient lithium-ion battery specially developed for automotive use. 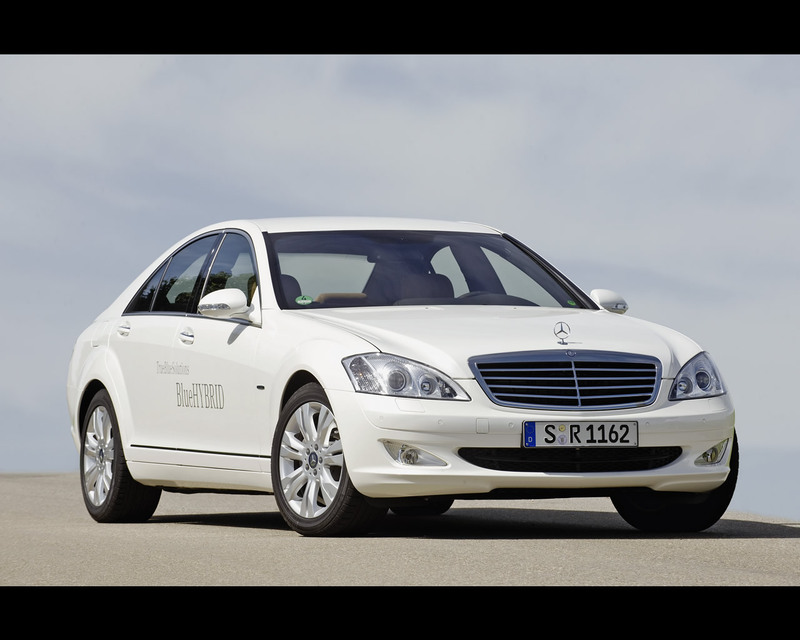 The new Mercedes Benz S 400 Blue Hybrid is based on the S 350, and features an extensively modified drive train. This encompasses a further development of the 3,5 litre V6 gasoline engine, an additional magneto-electric motor, the 7G-Tronic seven-speed automatic transmission especially configured for the hybrid module, the necessary operating electronics, the transformer and a high-voltage lithium-ion battery. 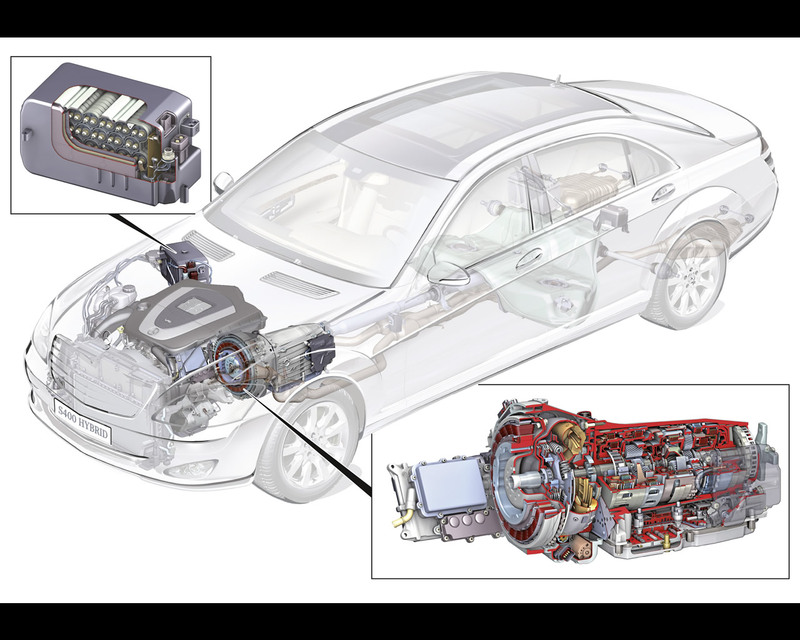 The compact hybrid module is a disc-shaped electric motor , which is space-savingly installed in the torque converter housing between the engine and the 7G-Tronic transmission, that also acts as a starter and generator. The system offers a double benefit, as it both helps the save fuel and increases driving enjoyment. This is due to the booster effect of the electric motor, as it powerfully backs up the gasoline engine with a maximum additional torque of 160 Nm during the high-consumption acceleration phase. 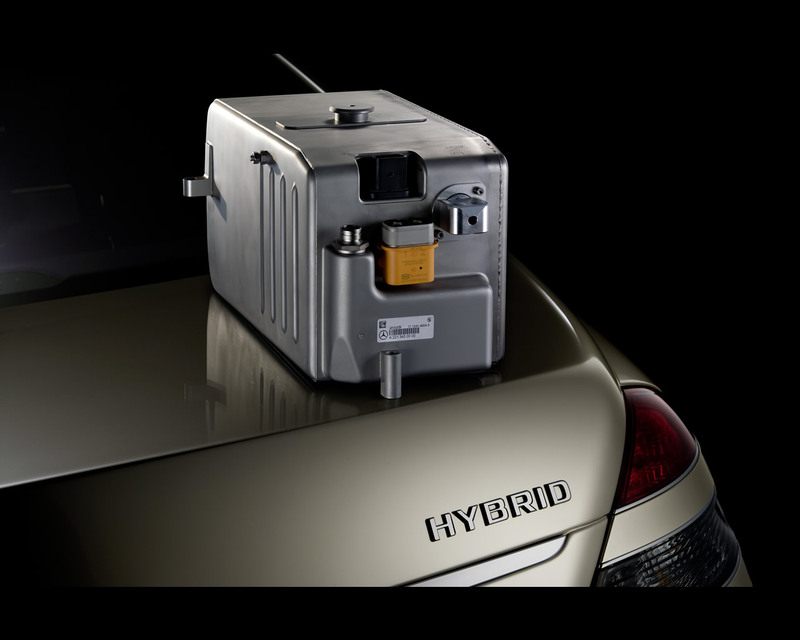 The hybrid module also has a comfortable start/stop function, which switches the engine off when the vehicle is at a standstill - for example at traffic lights. When it's time to move off again, the electric motor almost imperceptibly restarts the main power unit. The centerpiece of the modular, very compact and highly efficient hybrid drive system is the new high-voltage lithium-ion battery, which was specially developed for automotive use. Thanks to space-saving installation in the engine compartment, the lithium-ion battery replaces the conventional starter battery. 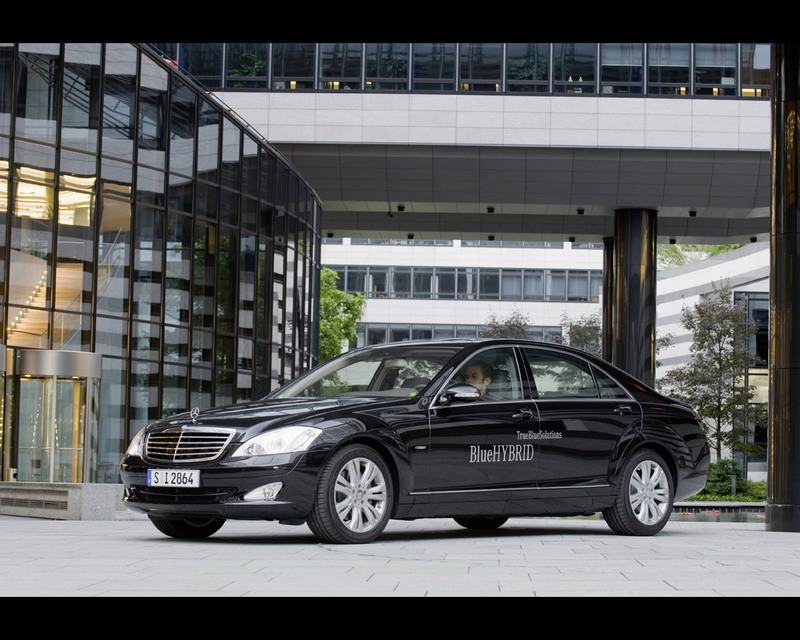 This lithium-ion battery not only stores energy for the electric motor, but is also connected to the 12-Volt onboard network via a transformer to supply power to other standard consumers such as the headlamps and comfort features. The completely newly designed battery system consists of the cell block with its lithium-ion cells and the cell monitoring system, the battery management function, the high strength housing, the cooling gel, the cooling plate, the coolant feed and the high voltage connector. The electric motor also operates in regenerative braking. When the vehicle is braked, the electric motors acts a a generator and uses a process as recuperation to convert the kinetic energy into electrical energy. This energy is stored in the lithium-ion battery, and made available when required. In the process the electric motor assists the engine braking effect of the internal combustion engine. In a first stage with no braking action, the electric motor acts as a generator and begins to recuperate energy. In a second stage, as soon as the driver lightly operates the brake pedal, the generator output is increased proportionally, and perceived as heavier deceleration by the driver. Only when more brake pedal pressure is applied are the wheel brakes activated. The instrument cluster has a separate centrally positioned display showing the energy flow during boost and recuperation phases, as well as the battery charge status. Performance and fuel consumption: acceleration 0-100 kph in 7,2 seconds; top speed 250 kph; fuel consumption 7,9 l/100 km; CO2 emissions 190 g/km combined cycle. Dimensions: length 507 cm; width 187 cm; height 147 cm; wheelbase 303 cm; kerb weight 1955 kg.